A collection of our favorite cravings & recipes. The jokes are seriously endless about girls and their love of anything Pumpkin Spice flavored..... And leggings. We happen to love both, so, cliche away! While we love numerous things about Fall, living in Southern California during an autumn heatwave we have had to miss out on so many of them. The leaves changing colors, the crisp bite of cool air, sweaters, boots, all these beautiful ponchos we have been collecting. As a result of this prolonged summer, having anything pumpkin flavored is really all the "Fall" it seems we are going to get. 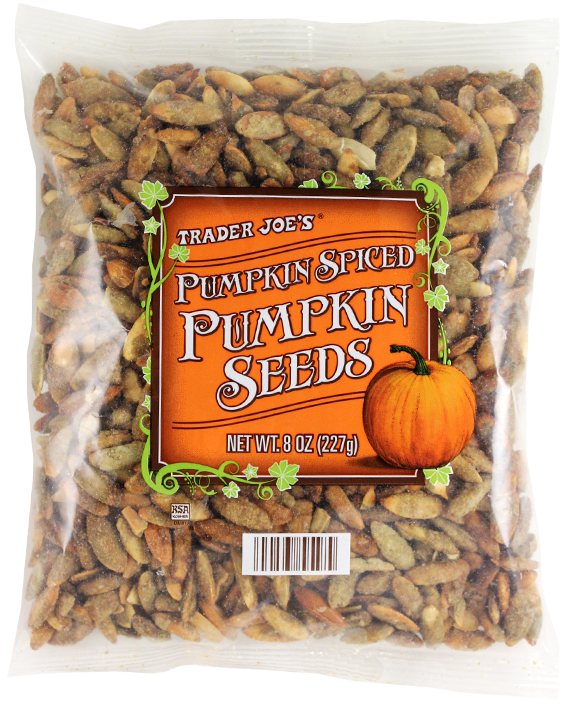 Here are a few of our favorite pumpkin and other fall flavored goodies. Oh heaven above! Pumpkin bread is always something that will remind us of being kids. My mom used to make this every fall and I could not get enough. We found this healthy recipe on Sarah Bakes GFree. Preheat oven to 350 degrees. Prepare 9x5-inch loaf by spraying with cooking spray or lining with parchment paper. In large mixing bowl, sift together flour, baking powder, salt, cinnamon, ginger and nutmeg. Set aside. 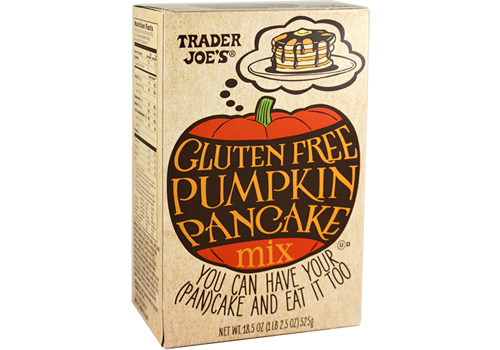 Mix together the pumpkin puree, sugar, melted coconut oil, maple syrup, apple cider and vanilla. Add the pumpkin mixture to the flour mixture. Stir until combined. Pour batter into prepared loaf pan. Bake for 40-45 minutes, until golden brown and center is set. Leave bread in pan to cool for 15-20 minutes. Remove from pan and allow to cool on cooling rack. Slice and serve. Best served within 2-3 days. We love our coffee but we also love a really nice cup of tea and this black tea with autumnal spices –cinnamon, ginger, nutmeg and cloves is perfect. Have you ever tried a almond milk tea latte? No? Well the time to try that is now, and with this tea. Trader Joe's you are basically either the Devil or a store full of Angles. 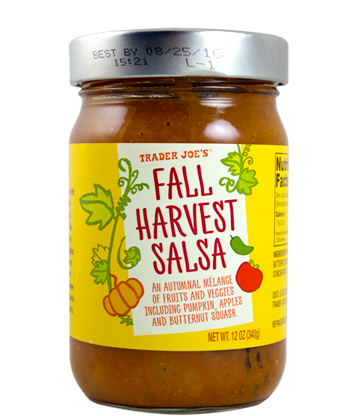 Did you realize that every Fall everyones favorite market stocks their shelves with up to 50 seasonal pumpkin items?! 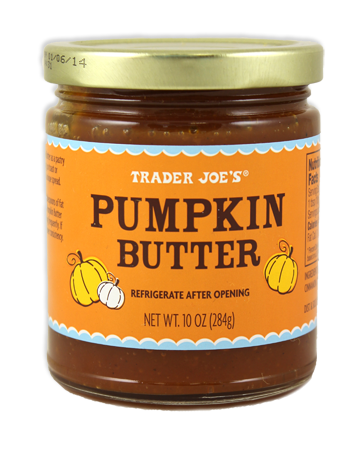 I mean you can just go into this place and cover your entire pumpkin cravings for the whole season in one swoop. Plus they have the best prices on your decor pumpkins and gourds. These are some of our favorite TJ's treats. *You can find an amazing recipe for vegan pumpkin butter here on Oh She Glows. The Things We Heart girls are both soup lovers and often shoot recipes back and forth. I just found this recipe for Mexican Pumpkin Soup and I am so excited because sometimes you want an alternative to the usual pureed pumpkin soup. I think I'll try this for Halloween night. Heat a large pot. Sauté most of the onions (reserve a few for garnish) over medium heat until they soften; add garlic and cook for about 1 minute. Add in the broth, pumpkin, chili beans, jalapeño, and potatoes. Stir in the oregano, cayenne, and cumin. Bring to a boil and then turn down to a simmer. Simmer for about 30 minutes or until potatoes are tender. Remove from heat and let cool for 5 minutes. Stir in the soy milk, add salt to taste, and serve immediately garnished with cilantro or parsley and onion (and extra diced jalapeño, if desired). I wanted to use plain pinto beans in this, but I was all out. If you use pinto beans instead of the chili beans, increase the seasonings and add some chili powder. Enjoy pumpkin season while it's here... Pretty soon we will be moving on to everything gingerbread and cinnamon.